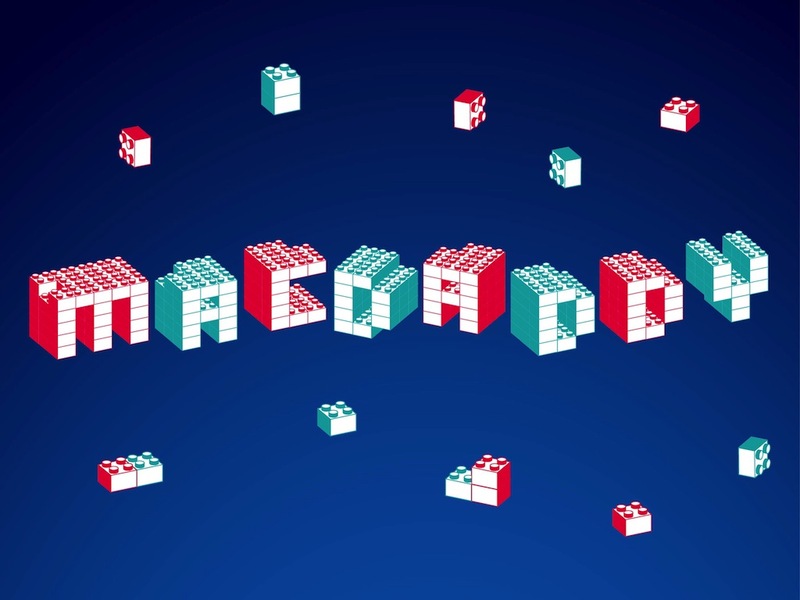 Typography vector illustration of three-dimensional text reading “Mac Daddy”. Geometric constructions of the letters, different colors and small blocks scattered randomly around the text. Free vector illustration for all toys, playing, constructors and children projects. Colorful text art for clothing prints and posters. Tags: Blocks, Bricks, Constructor, Game, Kids, Lego Vectors, Play, Toys, Typography.